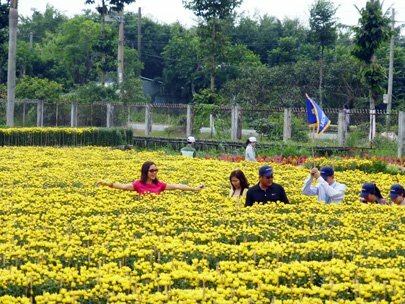 Coming to Tan Quy Dong flower village in Dong Thap Province, tourists can enjoy the Tet atmosphere in the air and feast their eyes on the natural beauty. 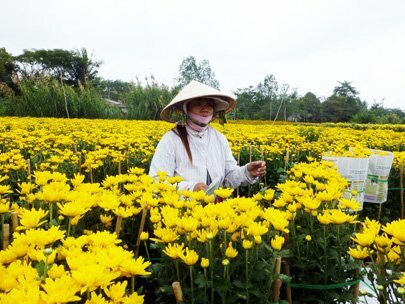 It takes tourists four hours to reach Tan Quy Dong flower village in Sa Dec Town in Dong Thap Province from HCMC but it is worth every second when they see the beauty of this part of the country. 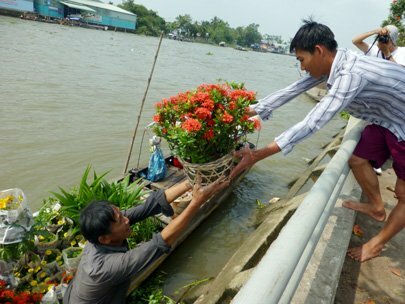 For over 100 years, local people have majored in planting flowers and trees. Coming to the village, tourists can enjoy the Tet atmosphere in the air and feast their eyes on the natural beauty. HCMC-based Saigontourist and Dong Thap Tourist Company have joined hands to conduct one-day tours to the village for tourists prior to Tet. For bookings and reservations, contact Saigontourist at 45 Le Thanh Ton Street, District 1, HCMC, tel: (08) 3827 9279. Here are some photos taken at the site by The Saigon Times Daily’s reporter Dao Loan. From gardens, people will gather fl owers at Sa Dec River to transport for consumption. Especially, these items will also be displayed at Nguyen Hue Boulevard Floral Exhibition in HCMC’s District 1 at Lunar New Year. 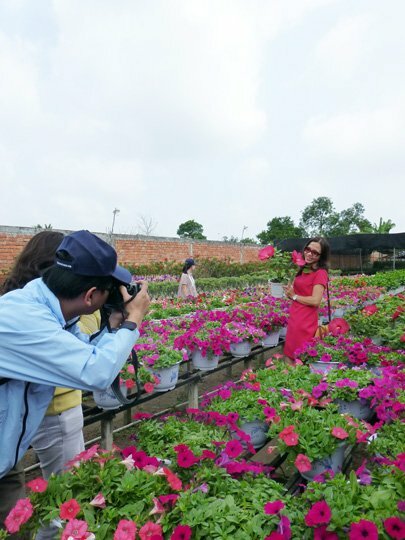 A group of tourists led by HCMC-based Saigontourist and Dong Thap Tourist Company visit the fl ower village. This year, tours to fl ower gardens and visits to local people’s house to prepare for Tet are promoted well so there’s an increase in the number of tourists.